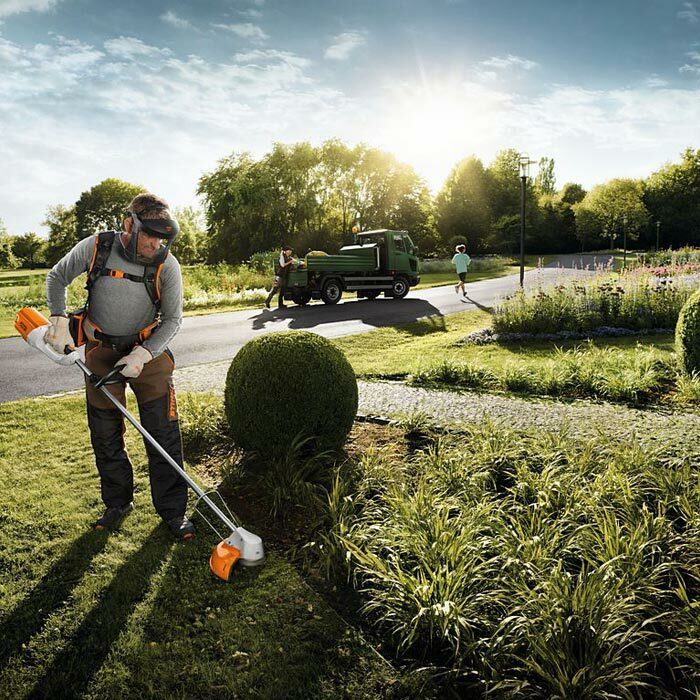 The Stihl FSA85 is a light, quiet and powerful cordless grass trimmer with easy-to-use AutoCut C 4-2 nylon line mowing head and extended cutting circle for thinning work and mowing smaller areas. Infinitely variable motor speed. With practical spacer bracket for mowing along obstacles and around trees and bushes. 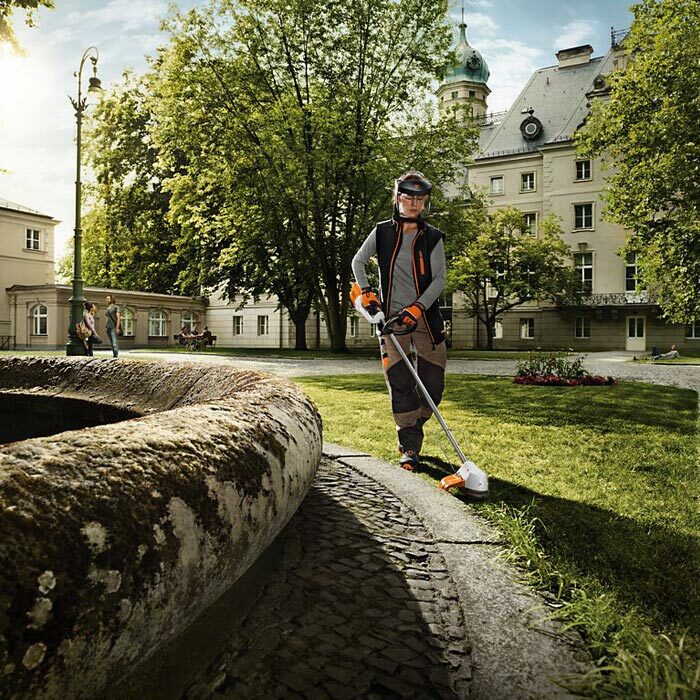 Ideal for mowing work in noise-sensitive environments such as parks and public gardens. Handle - With the thumb screw, the pre-assembled, ergonomic loop handle can be adjusted to the desired position without tools. 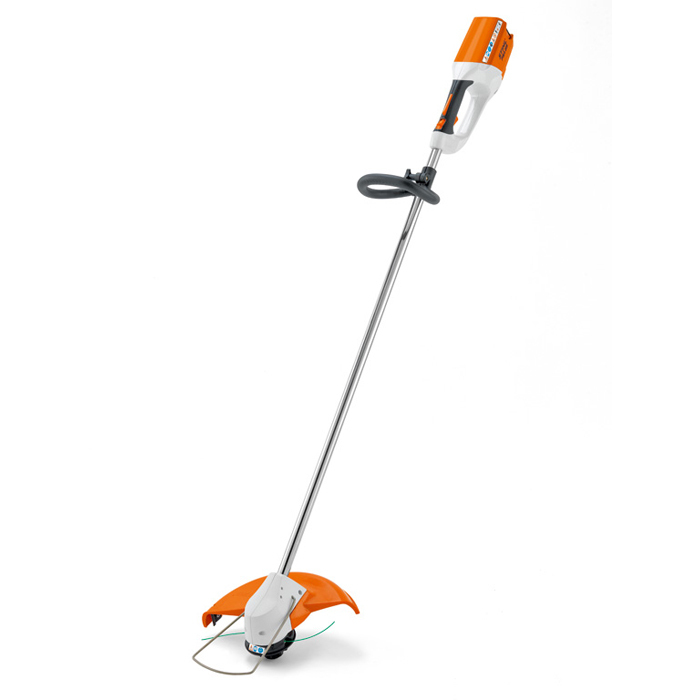 Hanging loop - Hang your cordless brushcutter securely on a wall to save space using the loop in the handle housing. Spacer bracket - Practical spacer bracket for mowing along obstacles and around trees and bushes.